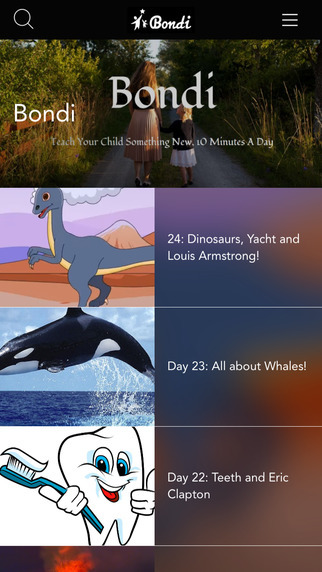 A while back, I published my favorite educational apps for kids. That post was a huge success, and many readers asked me for more suggestions! I decided this time around to publish my favorite fun apps for kids, not just focusing on the educational aspect (although I do feel some of these apps have educational benefits). So here are my picks for the best fun apps for kids! 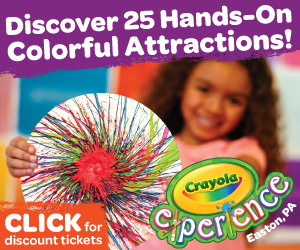 These are great for ages 5 and up, depending on your child's skill level. Most are available on both iOS and Android devices, unless otherwise stated. When we first started playing Whale Trail there was only one version, but now it seems there are two; Classic Whale Trail and Whale Trail Frenzy. We've been playing Classic Whale Trail for a while. You play as Willow the Whale, and you help him fly through the sky, gathering 'blubbles' and looping around, trying to avoid the nasty rain clouds and the big villain lurking below. The fun is in the game play- you have to keep pressing Willow to get him to fly, and you can upgrade him with funny outfits and friends to help him. Challenging, cute and colorful. Willow is adorable! 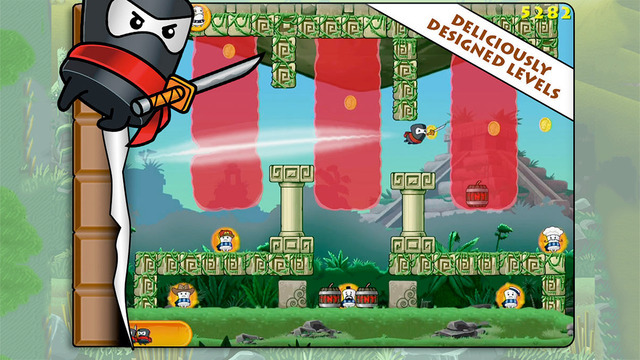 Coco Loco is only available on Apple devices, and it has a similar game play to Angry Birds. Your goal is to launch the little marshmallows to perform different goals on each level (you have to free your fellow marshmallow buddies, but on each screen they are entrapped in a different way). 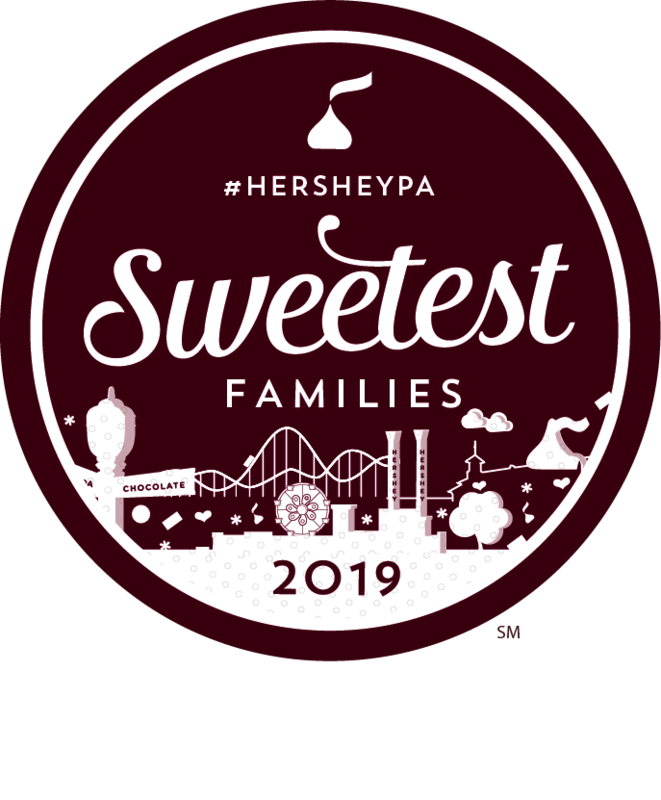 Use your physics skills to figure out each screen and avoid those mean cocoa bean mallows. The only downside to this game is that it has not been updated in ages. 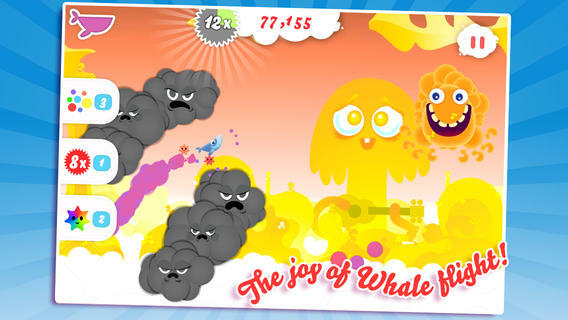 Adorable graphics and sound, it's so much fun to launch those little 'mallows! 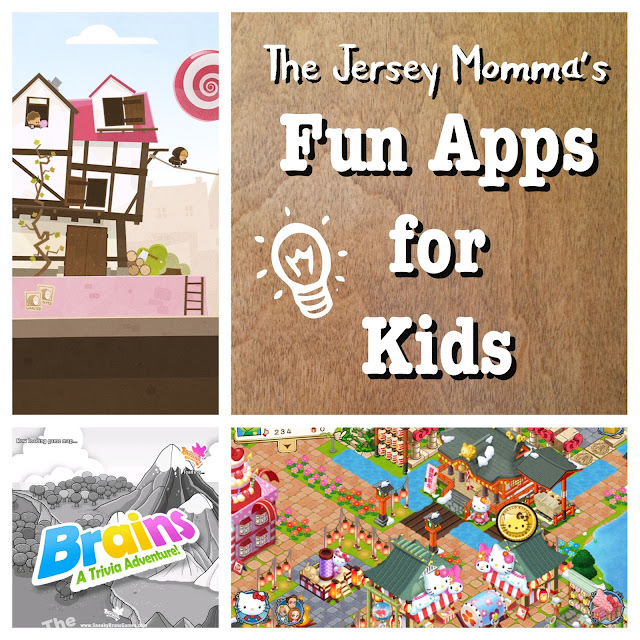 Brains, A Trivia Adventure, is one of the first trivia apps that The Jersey Momma's Boy and I have played together. The questions are challenging and they're fun to play with more than one person. 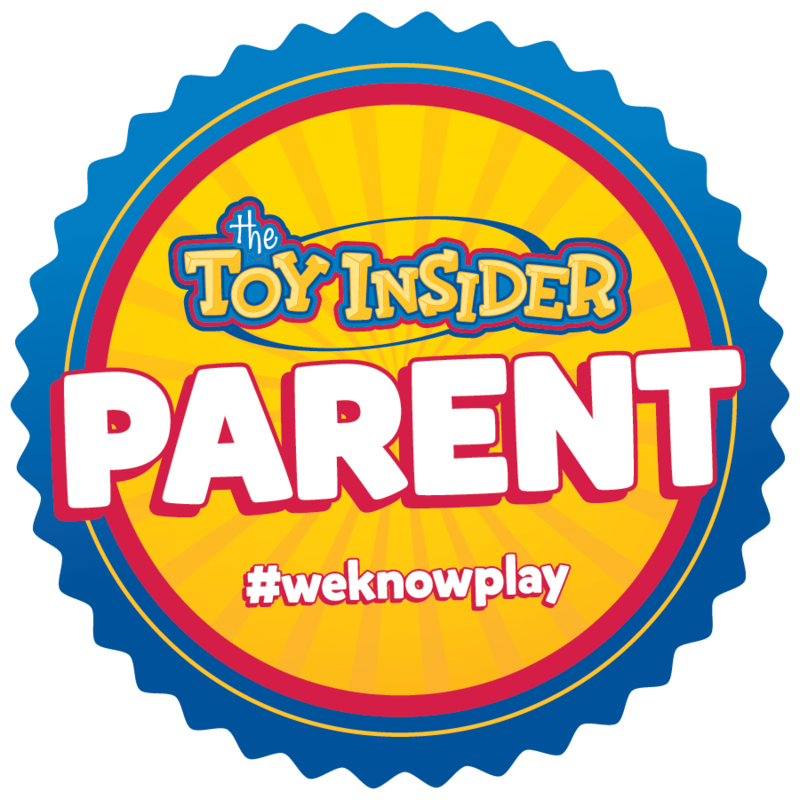 There are a TON of subjects to choose from, and they range from children's trivia (Disney movies, comics, TV shows, etc.) to science (mammals, birds, animals, etc) to adult trivia (TV shows like The Walking Dead, pop culture, etc.) and more. Sometimes I find myself playing it while waiting in doctor's offices or on the pick-up line at school. It's a great way to pass the time! We love how the game is set up- you are a member of the Brain family, and you are trying to find one of your siblings, who has gone missing. You travel through a game board (much like Candy Crush or the saga games) and challenge other characters that you meet in trivia battles. Unique, fun, challenging, we love everything about it. The graphics are cute and the music is fun, too. The questions range in difficulty, but the game allows you to keep trying if you fail, and offers multiple choices and helpful bonuses. Can I tell you a secret? I am totally addicted to Hello Kitty World. The Jersey Momma loves all things Kawaii, and even runs a sister blog called Kawaii Spy. I have always loved Hello Kitty and Sanrio, ever since I was a kid. Now I have my chance to run my own Hello Kitty theme park!! Omg!! Game play is similar to the original Farmville (by Zynga), where you 'purchase' adorable shops, rides and decorations to fill your park. As you level up, you can expand the size of your park, as well as add mascots to wander your park and greet your guests! The more apples you have, the more items you can 'buy,' but the game gives you plenty of opportunities to earn these little apples without having to spend real money. There are also games within the game, in the form of a Bingo building, a slot machine and a memory game. The items you can add to your park change monthly, so there's always a neat variety of things to choose from. Your little shops can sell items to the park patrons (who actually walk around your park while you're playing! ), allowing you to earn coins for more in-game purchases. You can send free gifts to friends, or enjoy seasonal decorations. Sometimes the makers of the game have treasure hunts and sales, so it seems that there's always something fun to keep you playing. 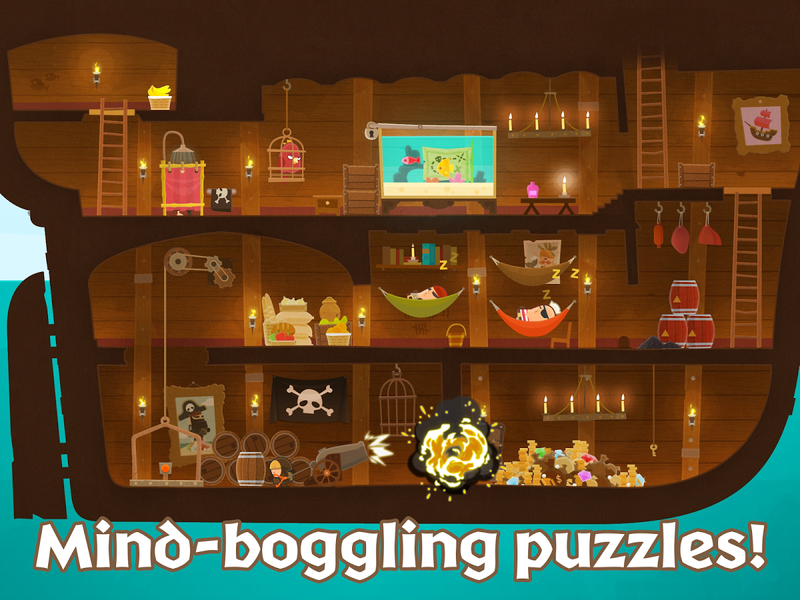 Tiny Thief was created by Rovio, the makers of Angry Birds, so you know it has to be good! Don't let the adorable graphics fool you, this game requires some serious thought, since you are the 'tiny thief' trying to figure out how to thwart the greedy and unjust. Tiny Thief isn't really a thief- he's more like a little Robin Hood! You'll need to use your wit to solve each puzzling level. The Jersey Momma's Boy is so much better at this than I am. He can see what needs to be done before I can- 'You need to hit this barrel and make it roll so that it releases the little ferret and the loaf of bread.' Uh, okay. 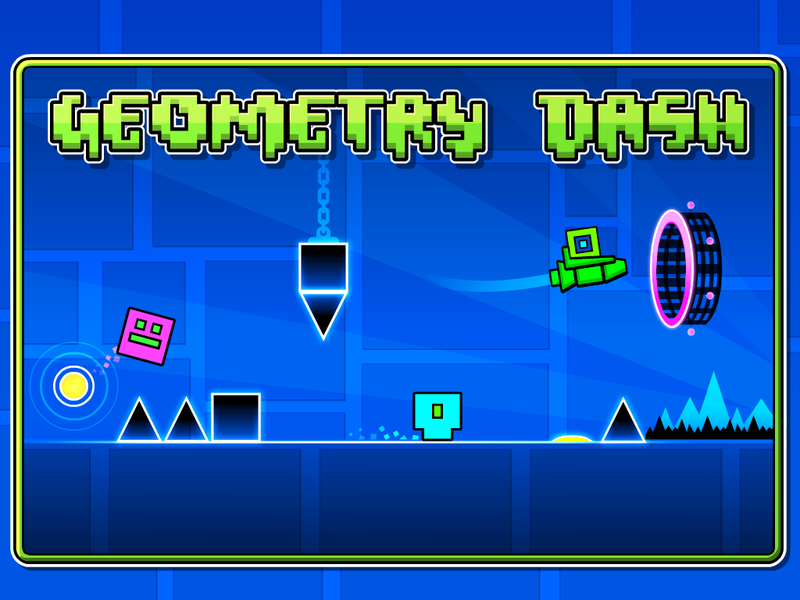 Parents might enjoy the catchy techno dance music in the background of Geometry Dash, or it might totally drive them nuts. 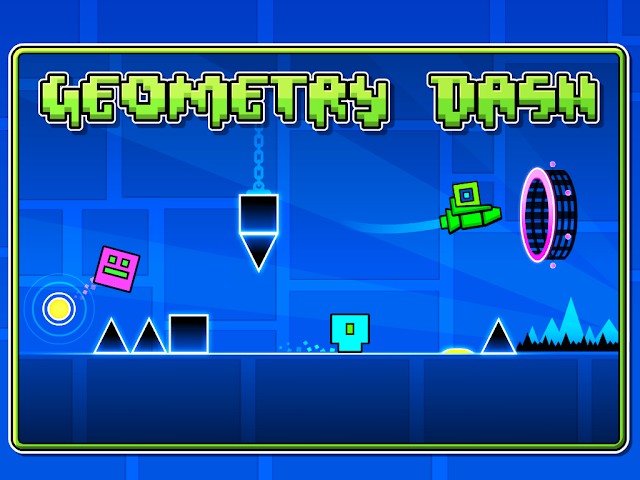 Either way, Geometry Dash is a fast-paced, fun app for kids to keep them thinking and planning. 'Jump, fly and flip your way through challenging levels, or create your own!' The Jersey Momma's Boy loves creating his own obstacle levels. You can also unlock and customize new characters, which really look like little square heads. There are no in-app purchases in this game, which I am very grateful for. The creators of Bondi recently contacted me to see if I would check out their new app, and I thought it was a wonderful concept. The idea is that you can learn something new with your child in only ten minutes a day. 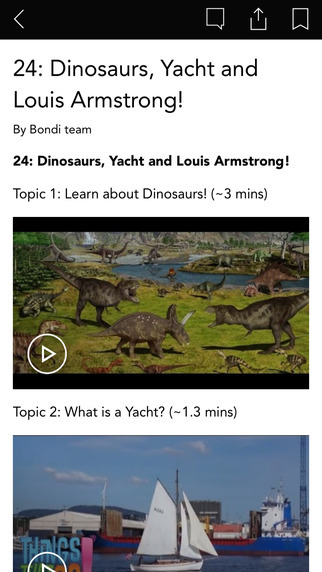 Bondi offers a new thematic video daily, so that you can watch with your child and learn something new, as well as hear some beautiful music to match! Ideal for ages 3-6, Bondi is free for both iOS and Android devices. 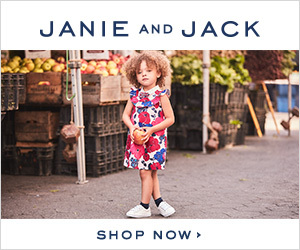 They're constantly updating and improving, so be sure to give them a chance and check out what they have to offer. What are your favorite apps for kids? Feel free to tell me about them in the comments below! Have you created an app that you want me to feature or try out? Contact me and let me know! That's a great list. I didn't know there were so many of them. Tell me about it! It's hard to pick good ones for the kids because there are so many bad ones, too. lol Thanks for stopping by, Mary! My son would love the one with the ninja! Great suggestions! Yes, that's a great one! Coco Loco features ninja marshmallows! Thanks for visiting and commenting. What fun apps for kids. Our ids are so lucky to have so much available to them! I know, I would've been crazy about some of these as a kid. Thanks for stopping by! I never heard of Bondi but I am going to download it right now for my three year old!! Thanks for sharing! Thanks, Christine! Bondi is a great idea. Thanks for stopping by and checking out the apps. What?!?! How did I not know about this hello kitty app?!?! I'm hello kitty obsessed lol!